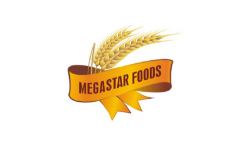 Business description - Megastar Foods is engaged in the manufacturing of food based products such as wheat flour, organic wheat flour products and allied flour products i.e. Atta-Wheat flour products, Maida-Fine wheat flour products, Suji/Rawa-Semolina, Chokar/Wheat Bran, Organic Atta, Organic whole Wheat flour and Organic wheat flour etc. The company is an FSSC 22000 certified company for food safety systems including ISO 22000:2005, ISO 22002-1:2009 and additional FSSC 22000 requirements in respect of Processing (Pre Cleaning, Cleaning, milling, Sifting) of Wheat products like Atta, Maida, Suzi, Bran and its packaging in HDPE laminated bags and Poly Pouch bags by Intertek Certification Limited, United Kingdom. The company is having state of the art modern machinery in our wheat processing plant in Punjab, India, with an installed capacity of 81000 MT per year. At present Megastar Foods caters to MNC’s in India and also exports some of its products to United Nations Organization, Europe, United States & Middle East. Megastar Foods IPO allotment status is now available on Skyline Financial Services' website. Click on this link to get allotment status.